Ideal for hard-to-reach places, the HT 101's adjustable shaft telescopes to 11'6". to reach branches up to 16' above ground. 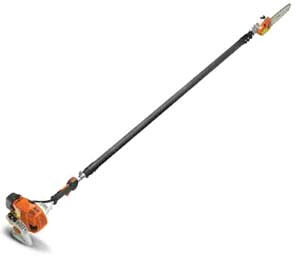 * Please call us with any questions about our power pole pruner in Mason OH, Westchester OH and Cincinnati metro area.